The Friday Fun & Easy Landscape Challenge July 13- June 19: Draw a landscape using the Hummingbird step-out. Extra calorie-free brownie points for creating your own variation of the hummingbird. I have 100 step-outs that I’ve done before I started doing videos, so I’m going to back and do some on video, rather than coming up with a new step-out each week. 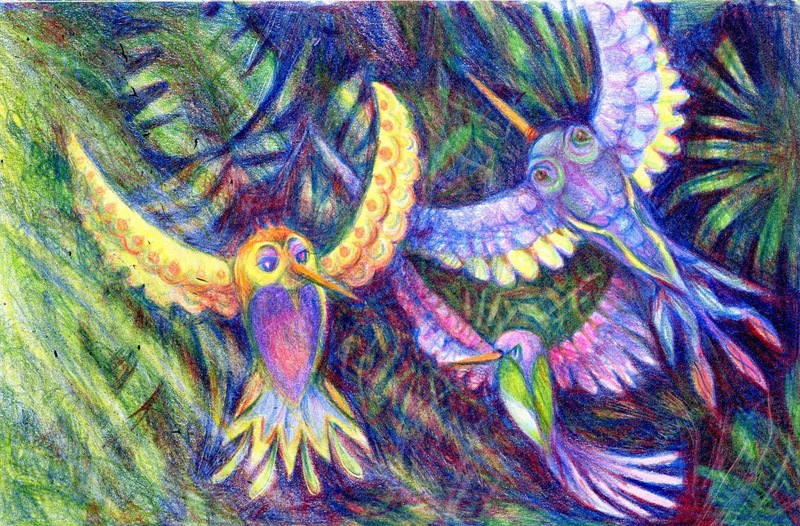 I have a fondness for this step-out, not least because I did some artwork using Zebra Pen Mechanical Colored Pencils. They liked it well enough that they put it on a huge banner to use at the MacPherson’s Dealer Workshop. I have to admit – it gives me a huge thrill when I see something like this! 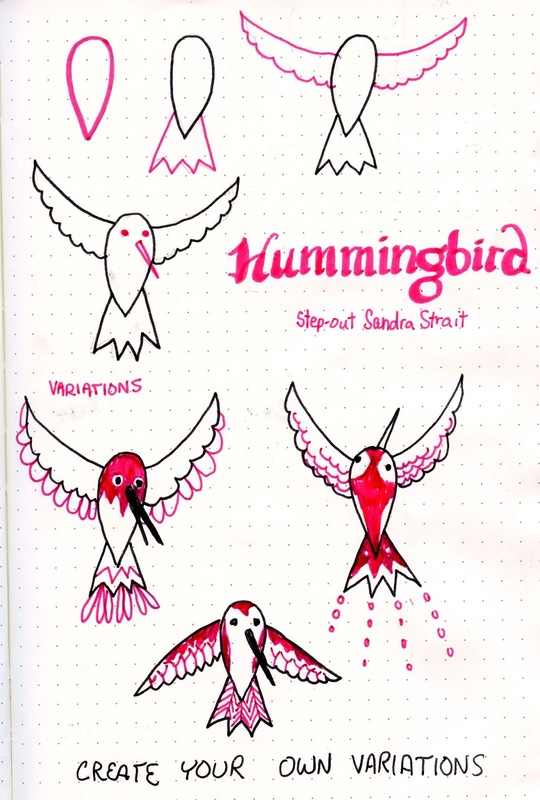 So watch the video, and let’s draw some hummingbirds!